A demonstration and hands-on class, with snacks provided. 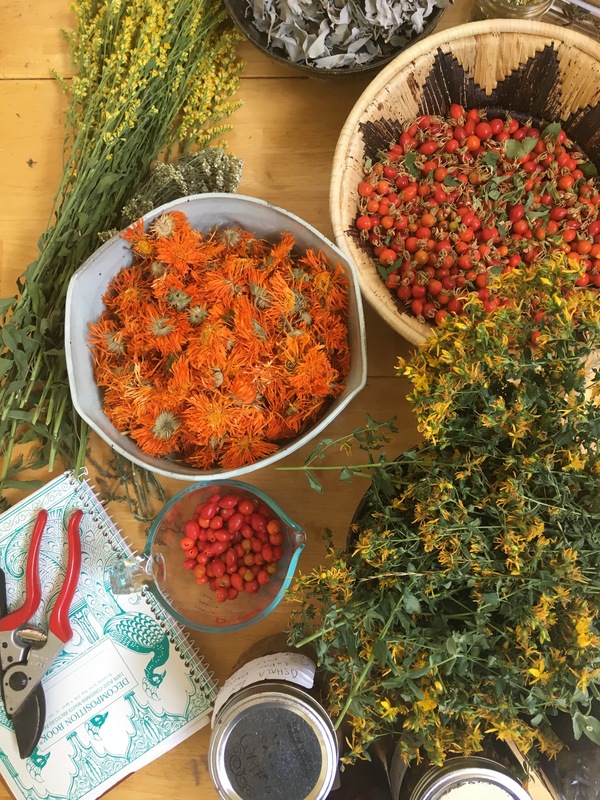 Join local herbalists, Elizabeth Howe and Sarah Jane Fairless, and dive into the art of incorporating medicinal plants and mushrooms into our daily meals. Students will gain basic knowledge of key medicinal herbs that we can bring into our kitchens, learn how to prepare these sacred plants into foods that will allow for optimal nourishment, and learn how to stock your pantry with delicious, handcrafted preparations to keep you and your family healthy and happy this fall. Students will learn to make immune boosting vinegars, golden milk base, and zoom balls (delicious herb-infused energy balls). Snacks (medicinal mushroom pate and homemade herb butter) and tea will be provided to get our medicinal minds fired up! Students will take home items they make in class.